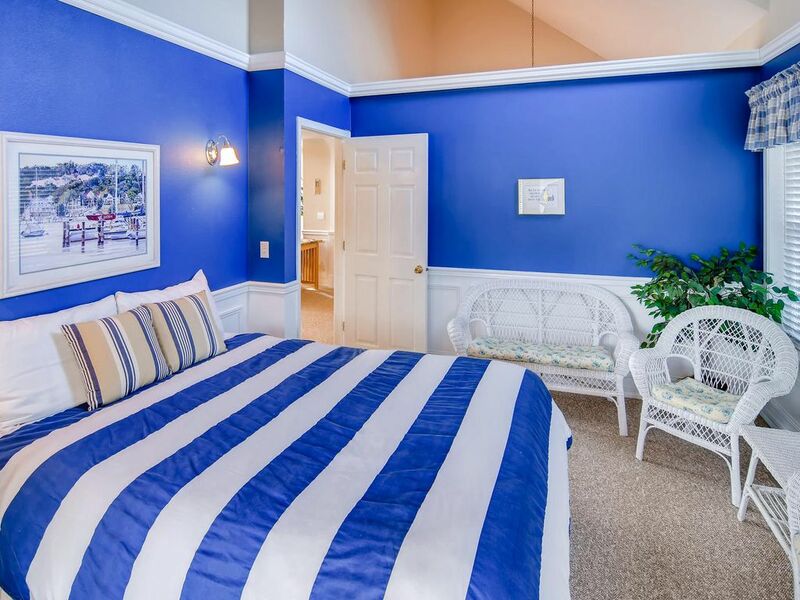 ** Discounts are Automatically Applied when Entering your Dates ** Winter SPECIAL – new reservations only ** Jan – May * Excluding Presidents, Memorial Day Weekend & Spring Break Book 2 Nights Receive Two FREE NIGHTS SPRING BREAK March 30th – April 15 * 4th Night FREE Mid-Summer May 30th – June 21st * 4th Night FREE Prime Summer July 9th – August 29th * 7th Night FREE Beachwood Estate is a stunning 3,500 square foot home located on the sandy dunes of the Long Beach Peninsula. 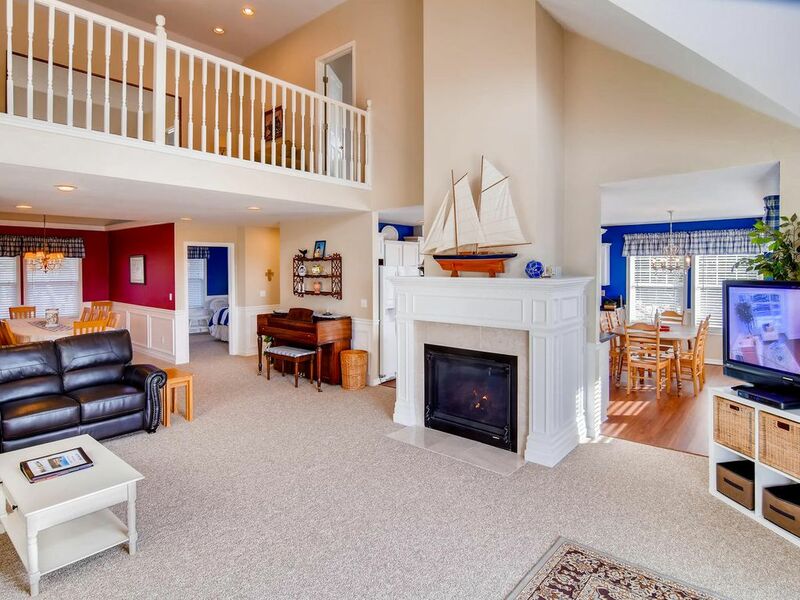 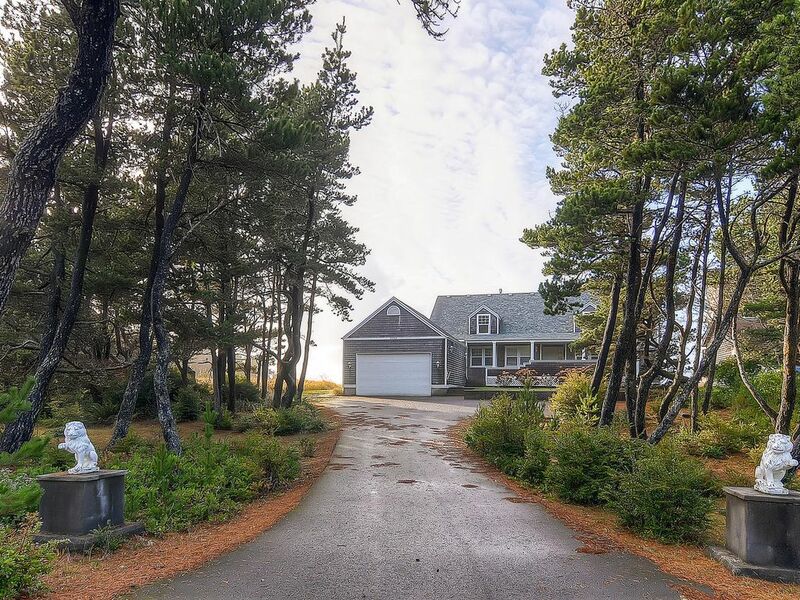 This 5 Bedroom, 4 Bathroom, Ocean Front Vacation Home Sleeps 12 and Features. 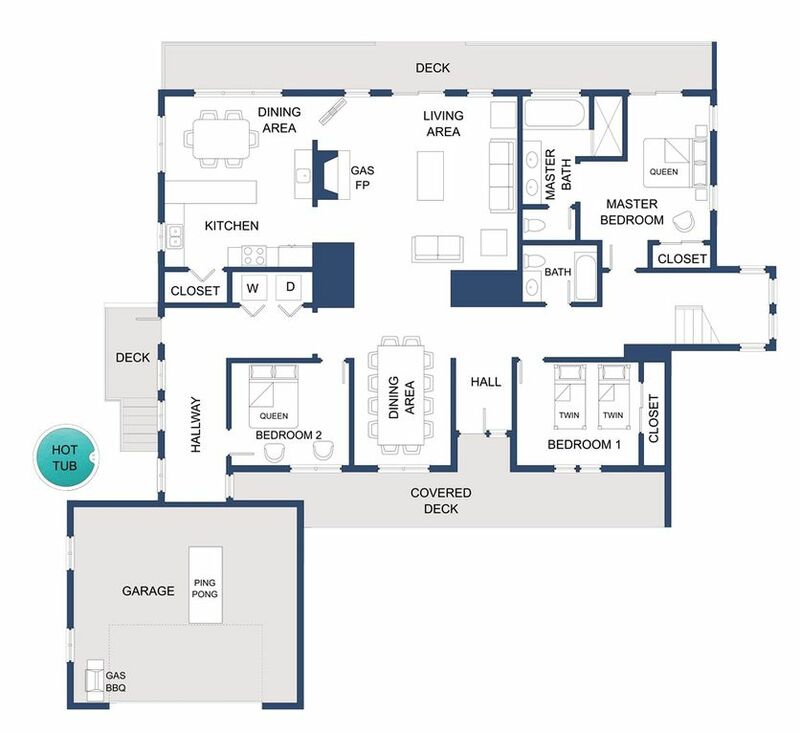 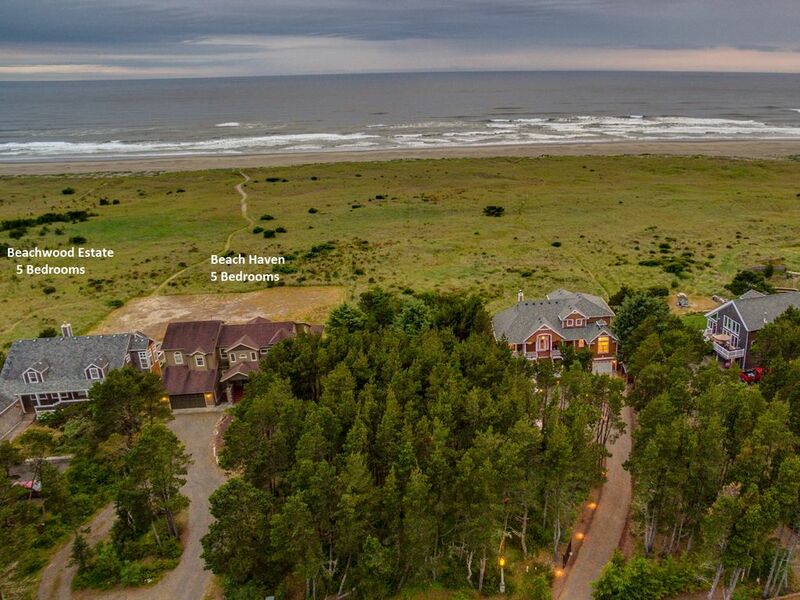 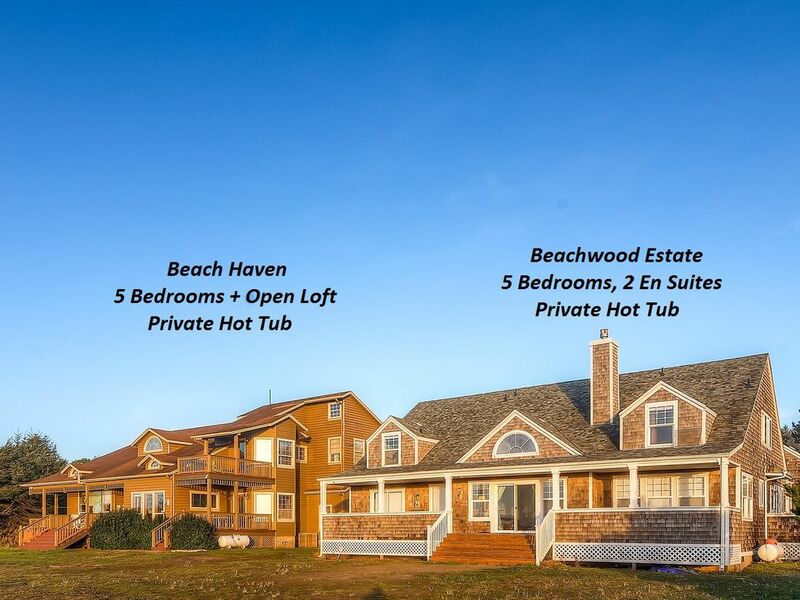 * 5 Bedrooms w/ 2 En Suites, 4 Bathrooms (Sleeps 12 in beds) * 1 Cal King bed, 3 Queens, 3 Twin Beds, 1 Trundle * Oceanfront - Only a Two Minute Walk to the Beach * Large Backyard Great For Entertaining * Private Hot Tub with Ocean View * Free Wi-Fi Internet * No Weddings, Receptions Allowed, Honeymooners Welcome! 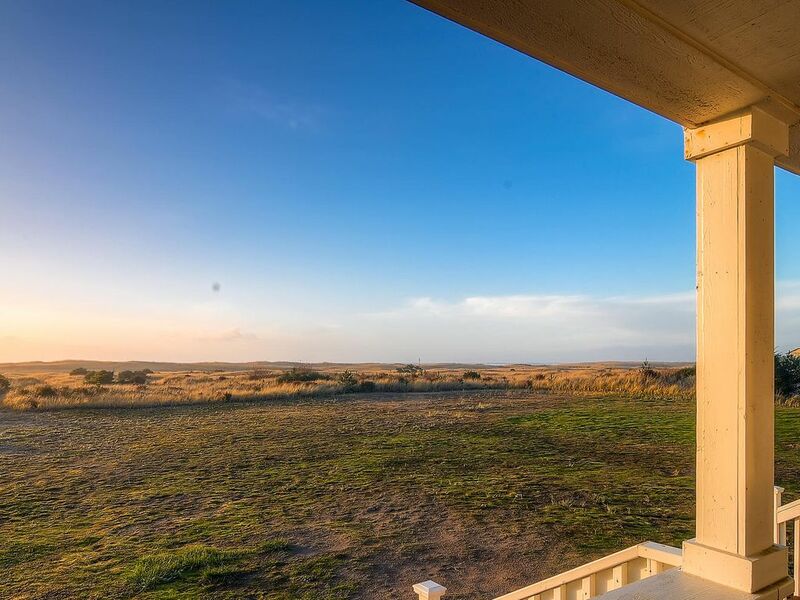 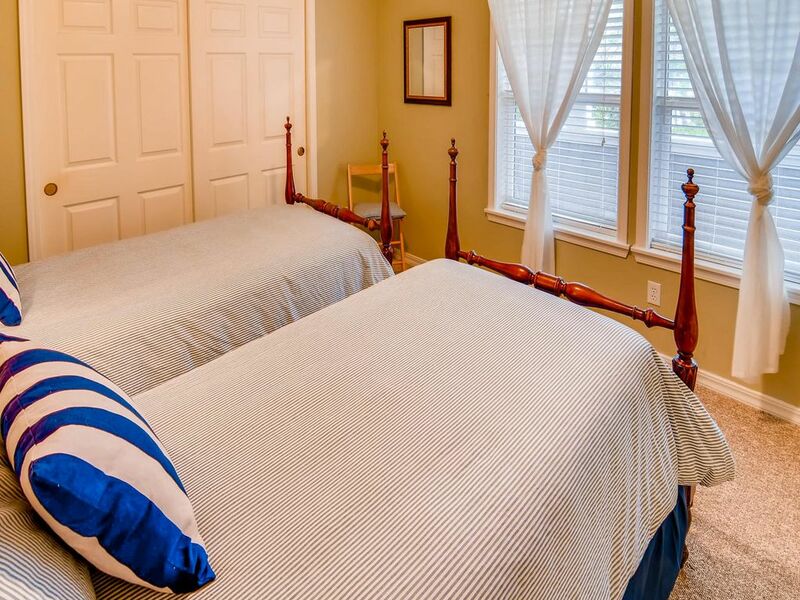 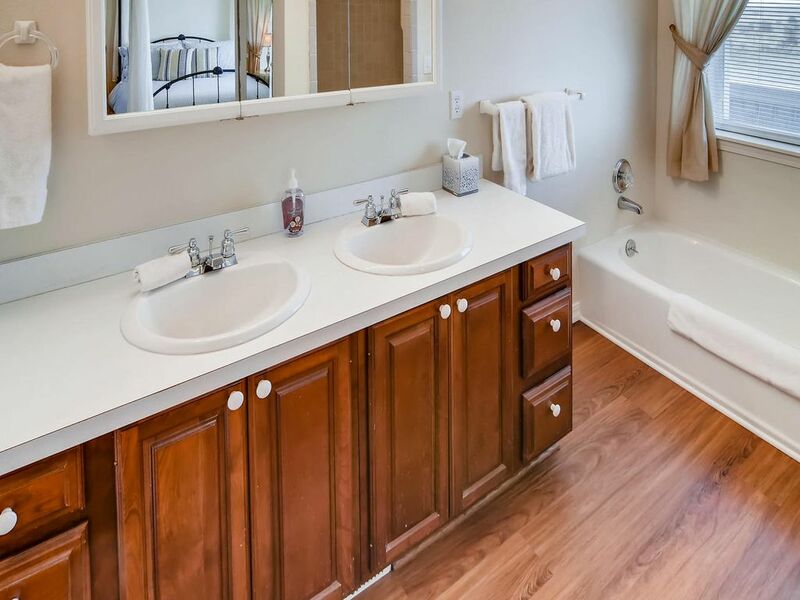 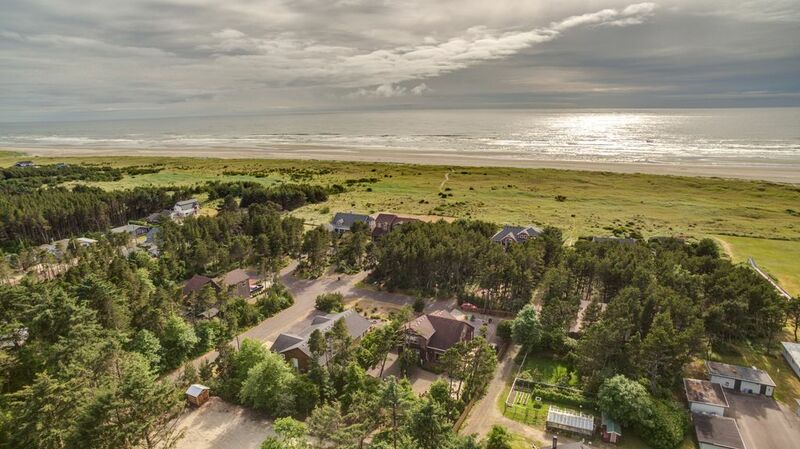 * Pet Friendly Side-By-Side Premier Vacation Homes*** For larger groups or multiple families, you can now rent two of the top vacation homes in the area and sleep up to 20! 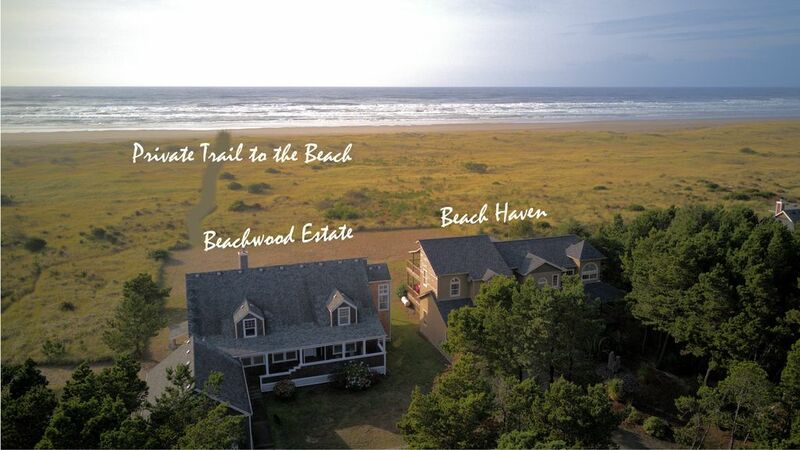 Check out Beach Heaven sister property Beachwood Estate located only steps away. 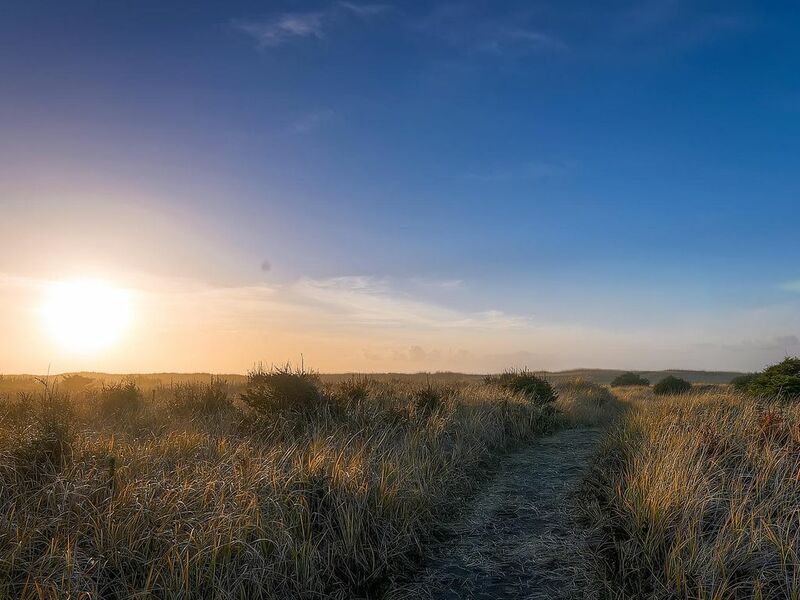 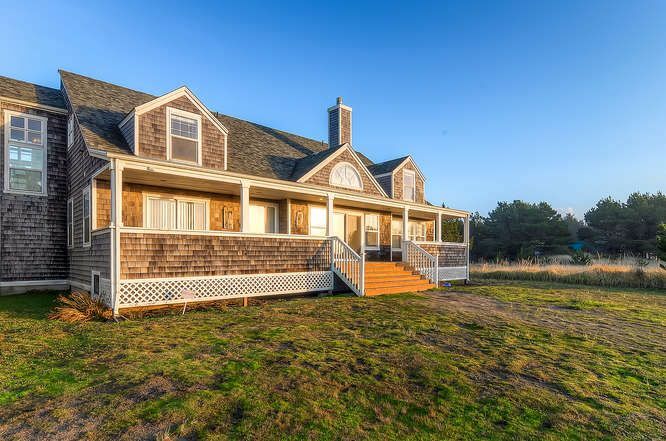 A unique coastal gem, this amazing Nantucket shingle style oceanfront home is the ideal destination for your next getaway or family vacation. 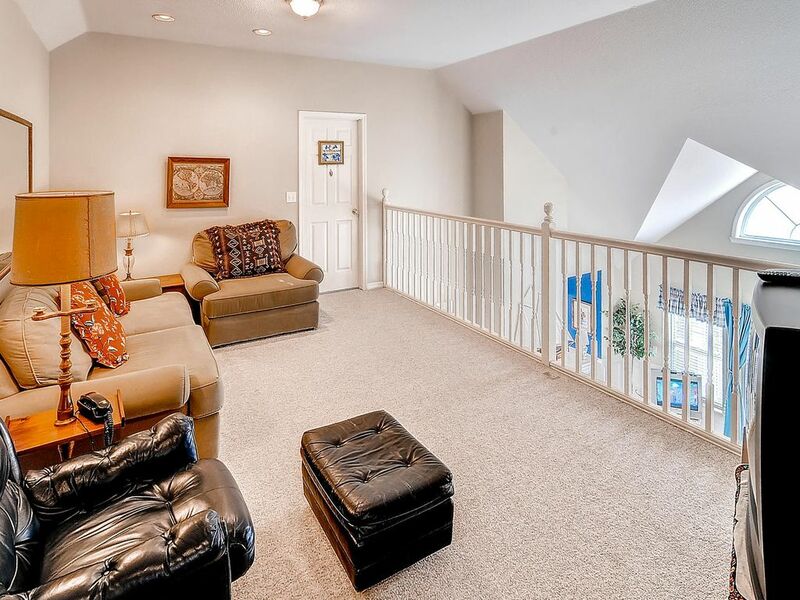 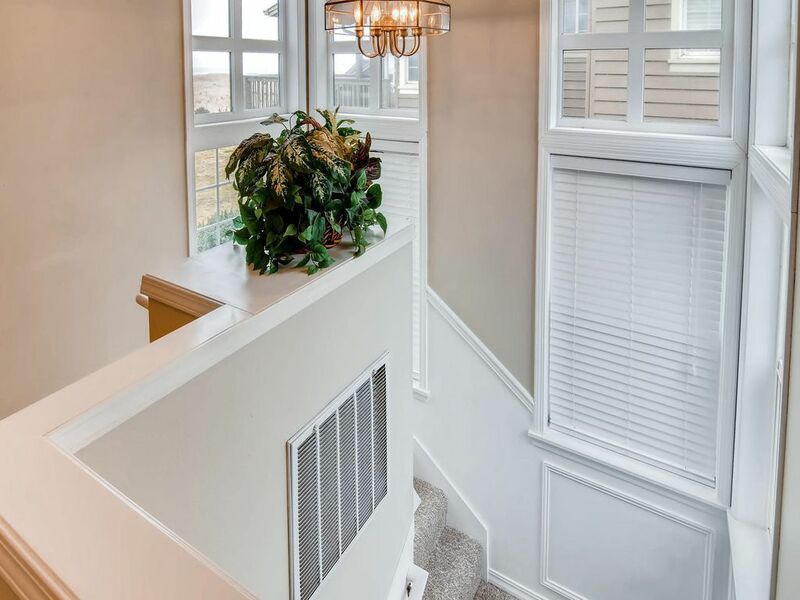 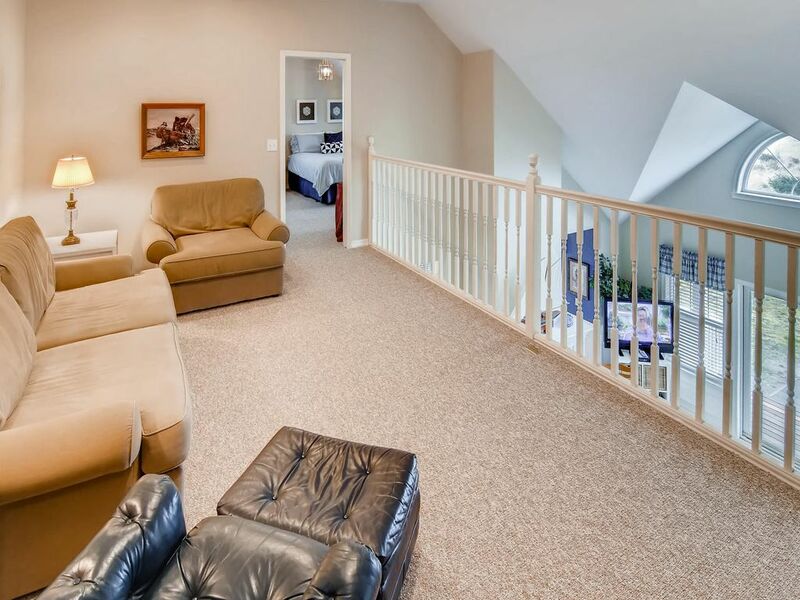 This stunning home features an open floor plan with vaulted great room, gas fireplace, 2 master bedrooms w/ en suite bathrooms, private hot tub,ping pong table, high speed Wi-Fi and more! 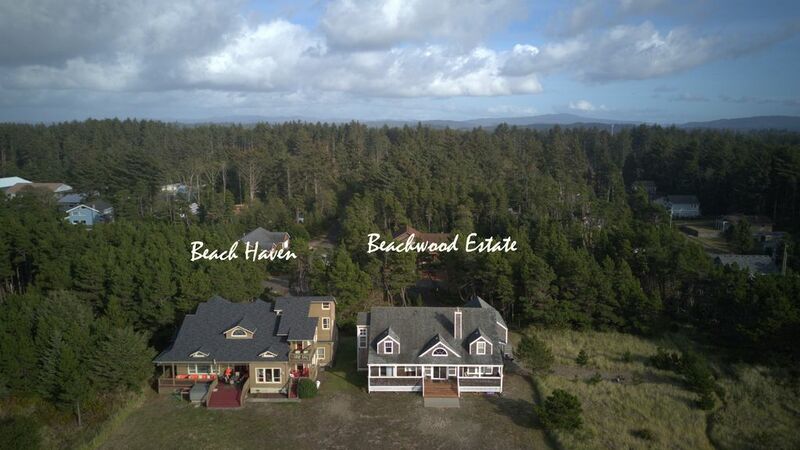 Entertainment With panoramic views and the smell of salt in the air, Beachwood Estate is truly one of the only properties in the area that is just steps away from the beach. 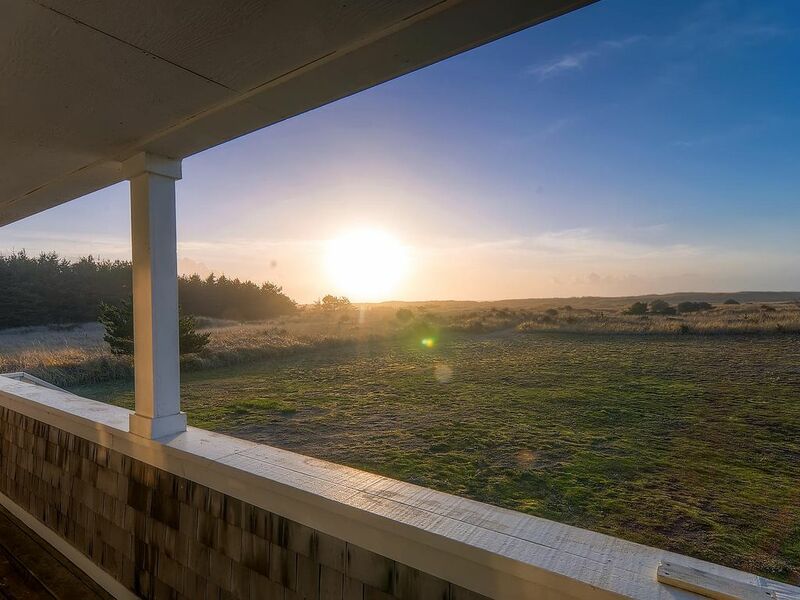 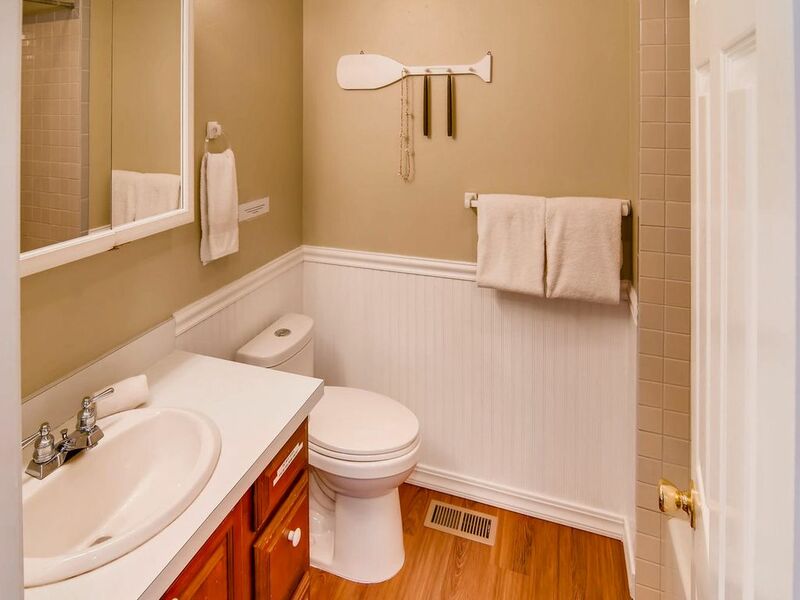 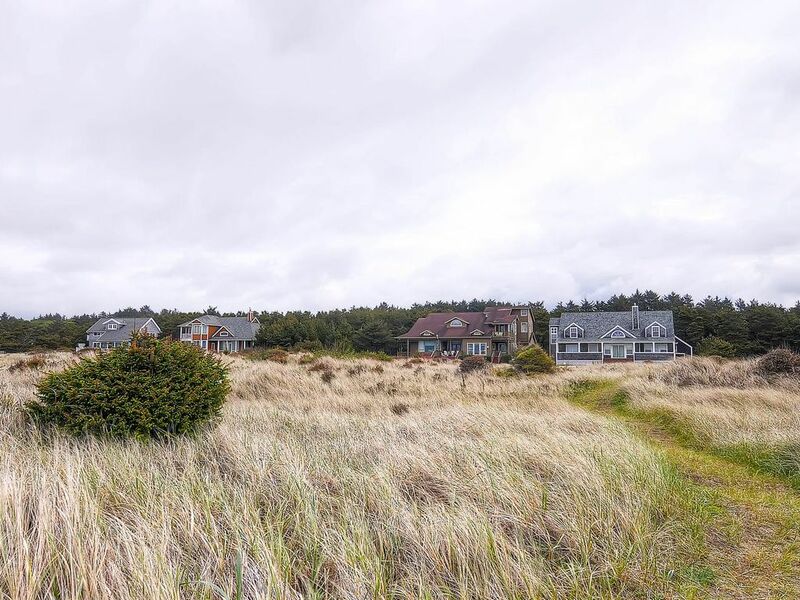 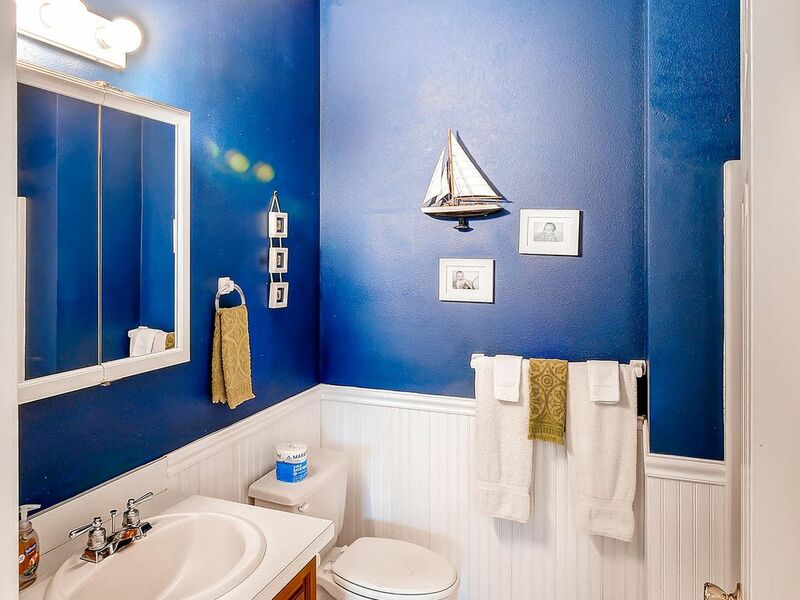 Here you will find all the comforts of home, along with a few extras, in the coastal-inspired vacation home of your dreams. 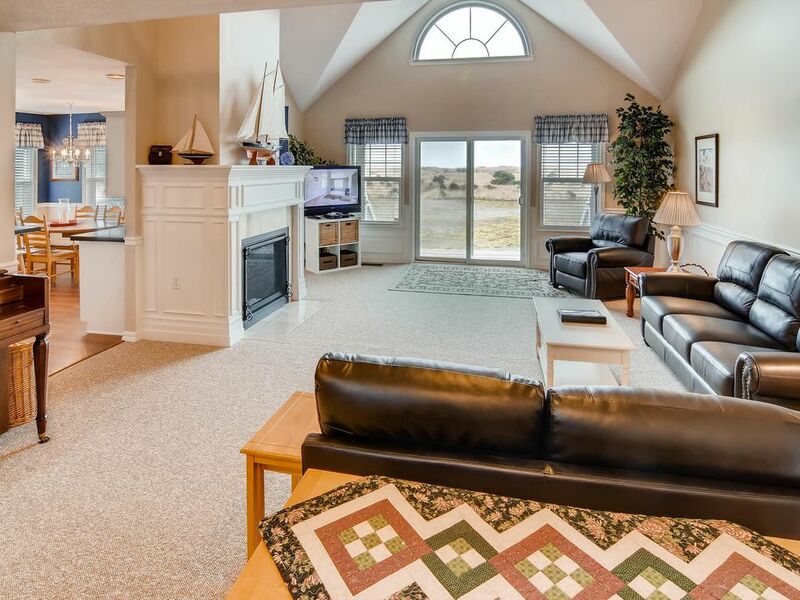 In the great room, cozy up on the sofas in front of the gas fireplace to relax with a glass of wine or watch a movie on the flat screen TV. 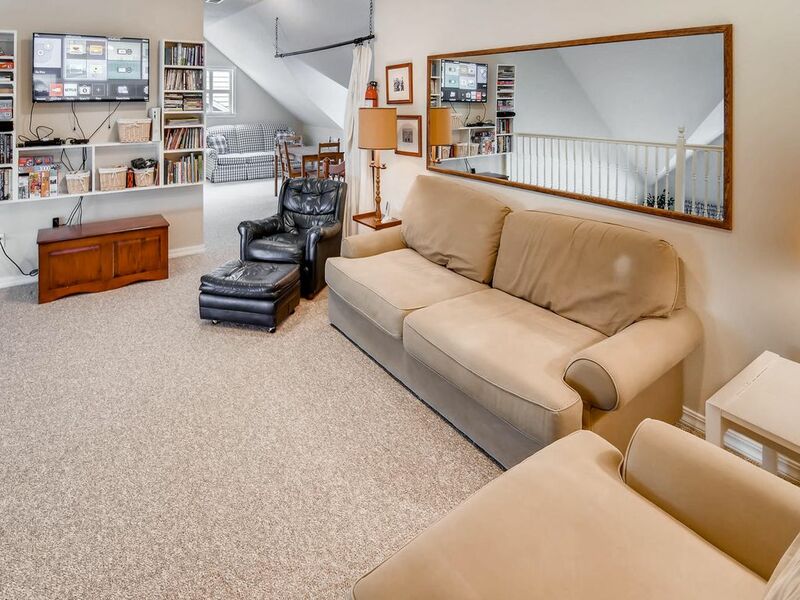 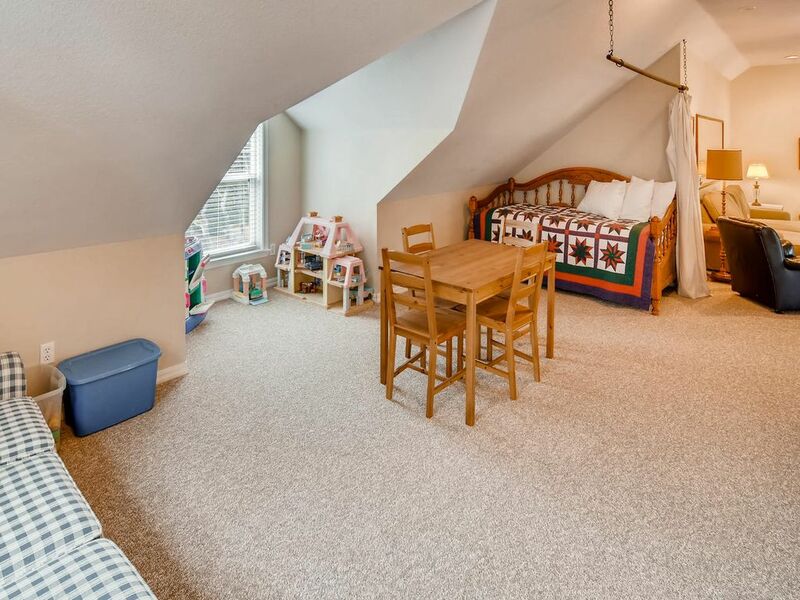 Younger guests have their own space to relax as well in the loft/rec room area upstairs which hosts a TV and plenty of board games, toys and puzzles. 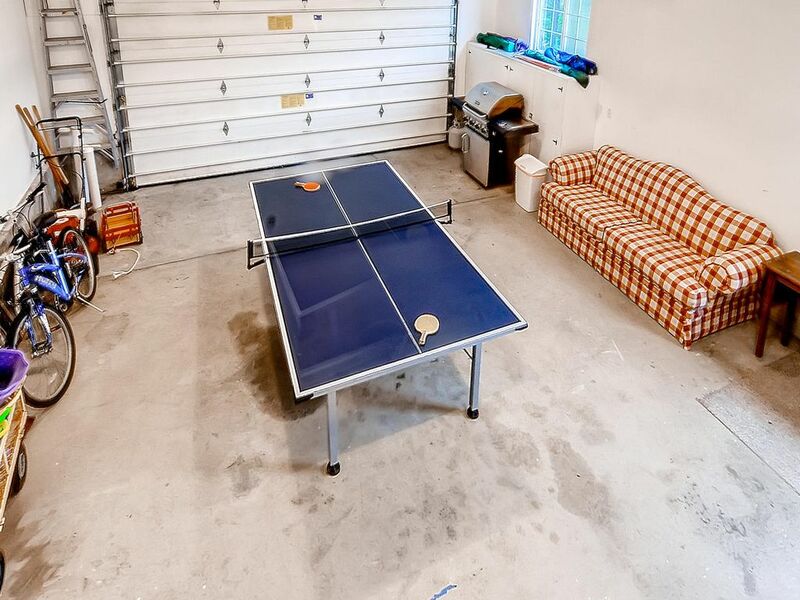 After a day at the beach, the garage is the perfect spot to grab a chair, play a game of ping pong or get ready for a backyard bonfire (see house rules for bonfire set-up and safety regulations, clean-up procedures, etc.). 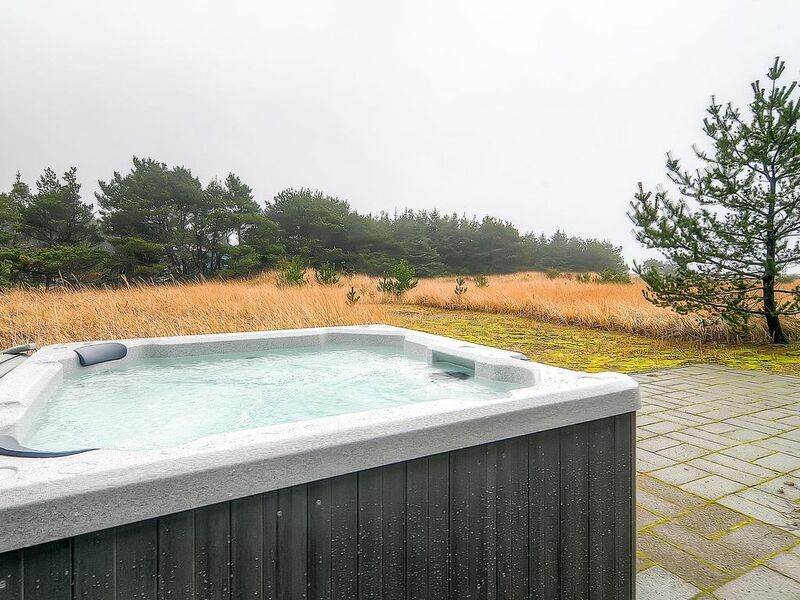 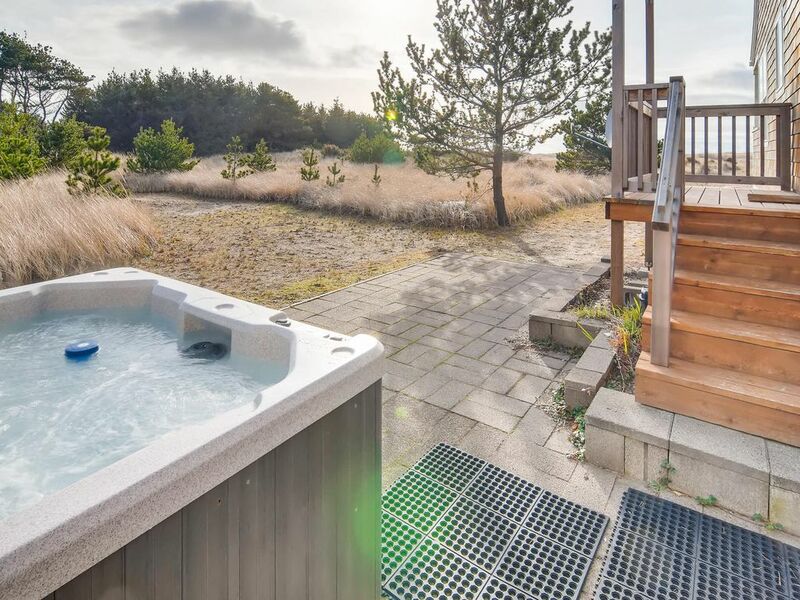 You’ll know you’re truly on vacation when you take a soak in the private jetted hot tub to relax after an action-packed day enjoying all the amenities Beachwood Estate has to offer. 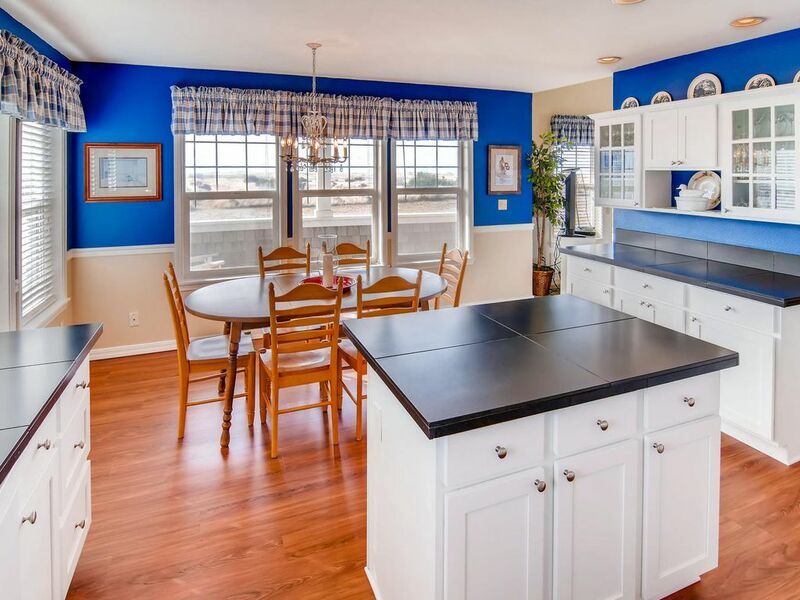 Kitchen The gathering place of any home, the kitchen and dining areas are sure to guarantee the making of many delicious meals and happy memories. 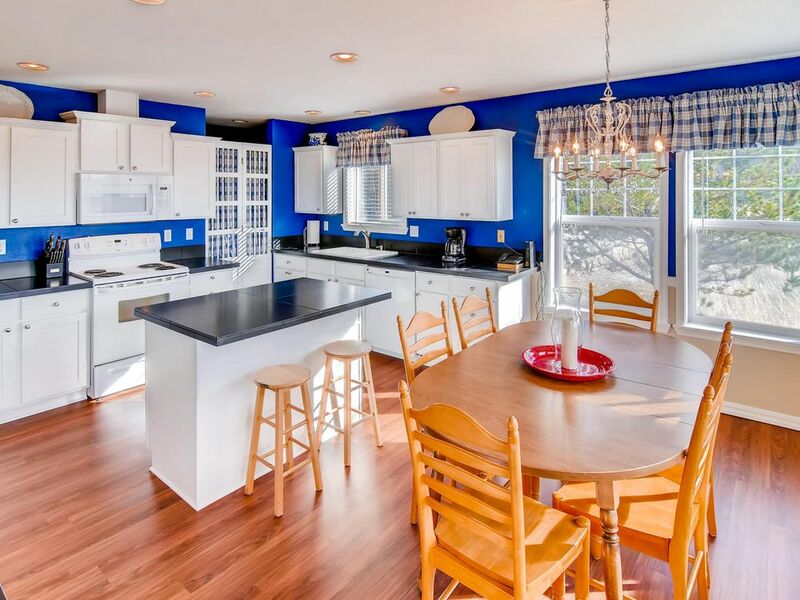 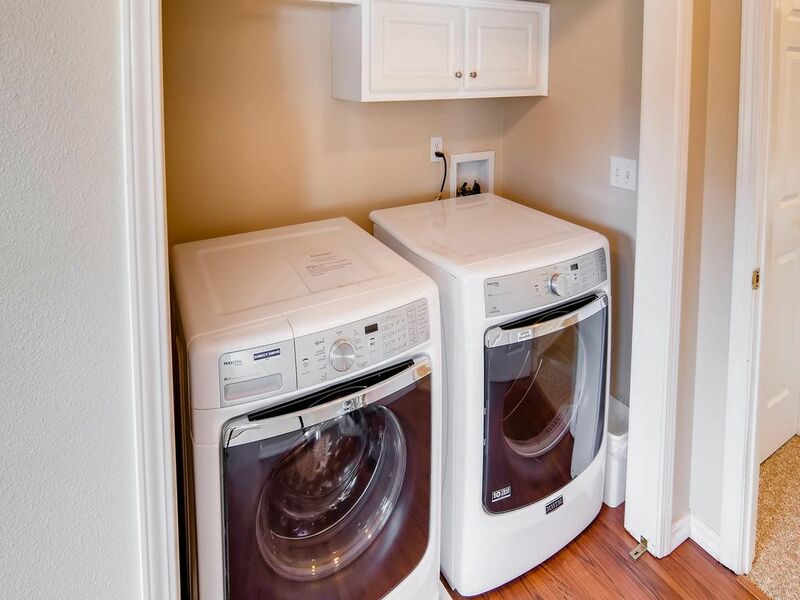 The well-equipped kitchen features plenty of prep space and comes fully stocked with everything from pots and pans to small appliances. 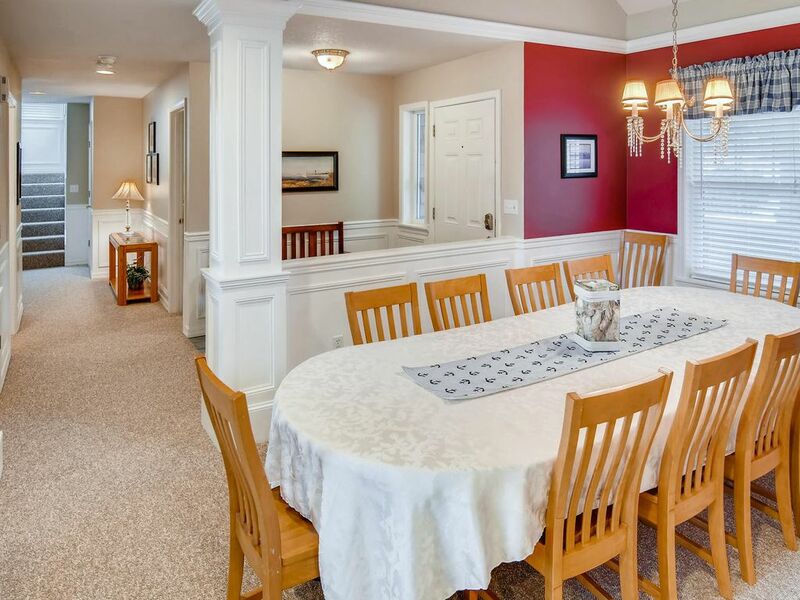 Adults can enjoy the formal dining room (seats 12) while kids eat at the kitchen table and adjoining breakfast bar (seats 8). 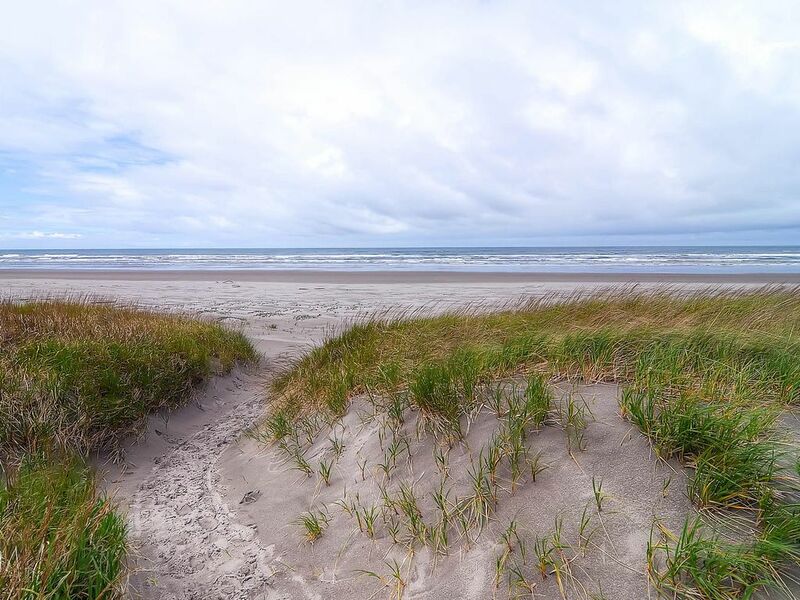 Or head outside for a grilled seafood feast as you gather around to enjoy outdoor fun in this wondrous beachfront setting. 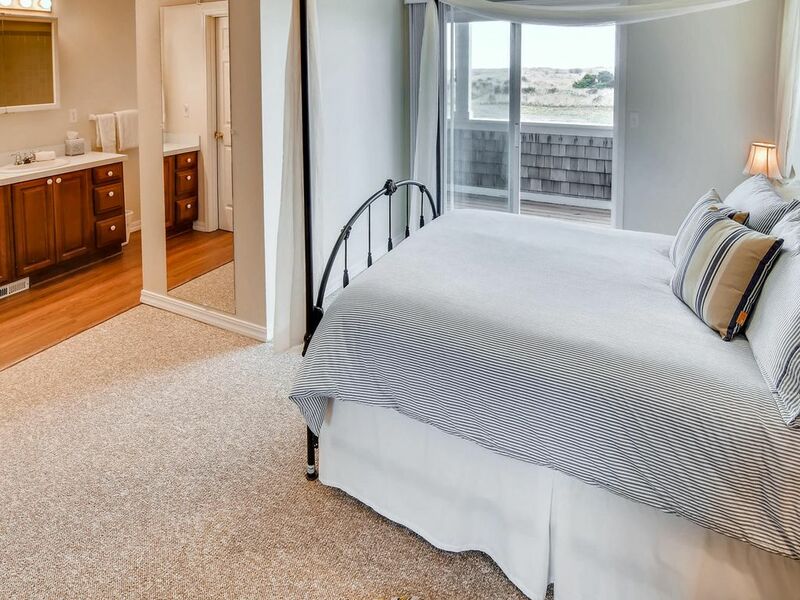 Bedrooms Located on the main floor, one of two master suites features an ocean view, deck access, queen bed, TV and en suite bathroom. 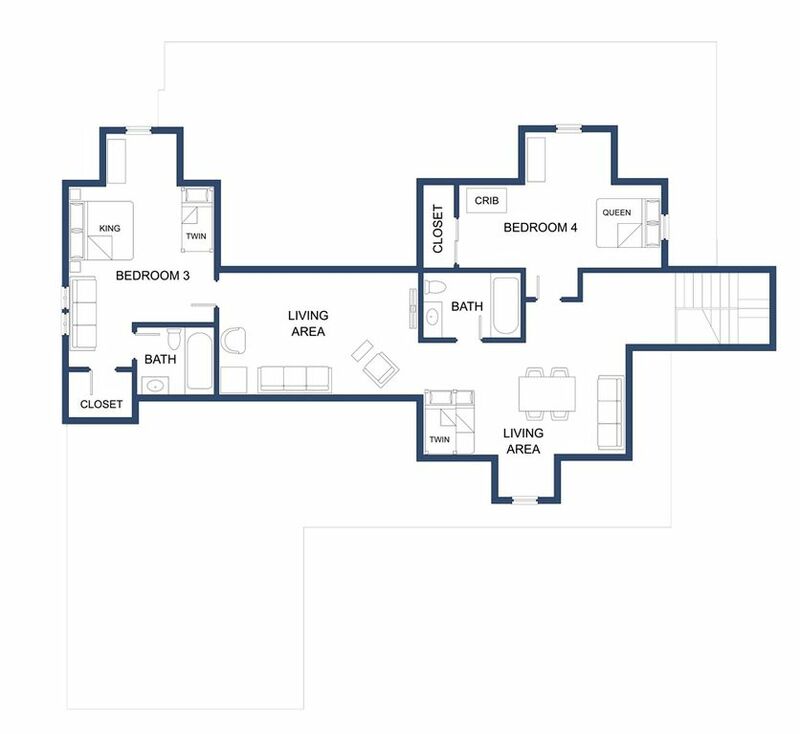 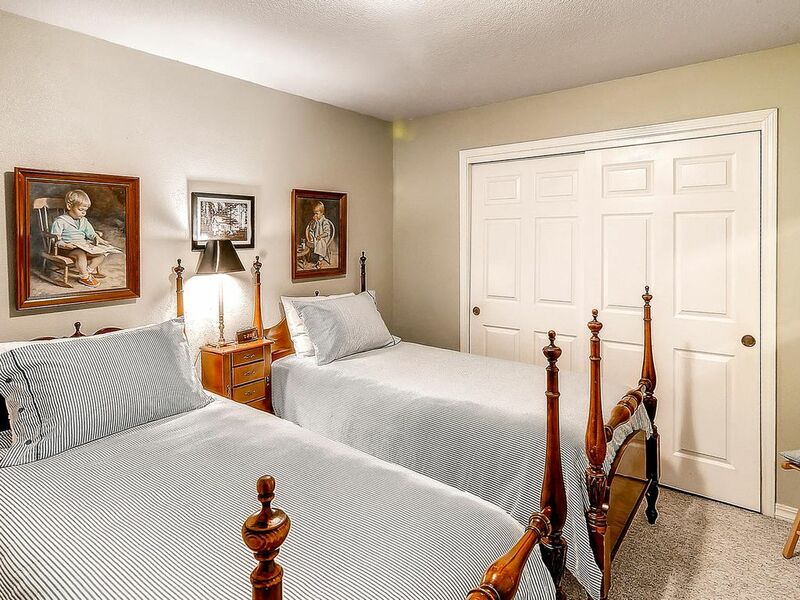 Across the hall is a second bedroom with 2 twin beds and a third bedroom with queen bed is located adjacent to the dining room. 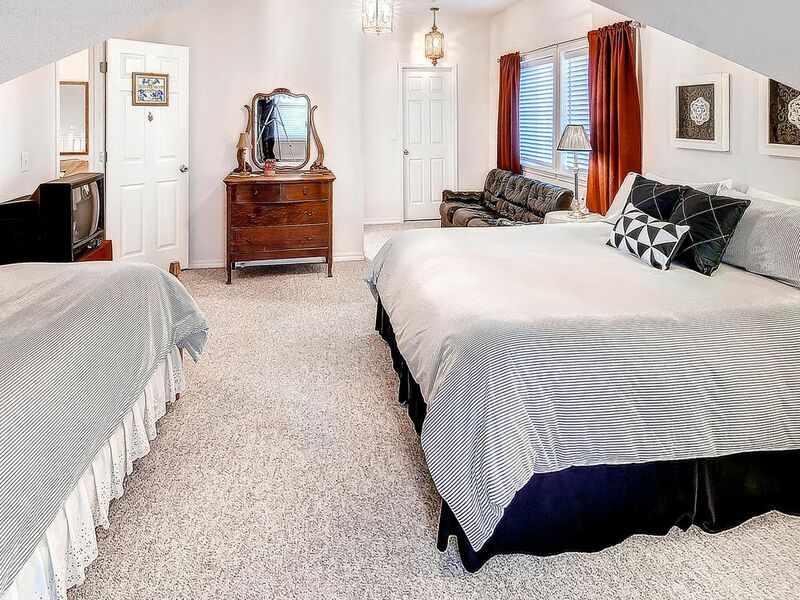 Please note, this queen bedroom was originally built as a den off of the dining room and is not fully enclosed. 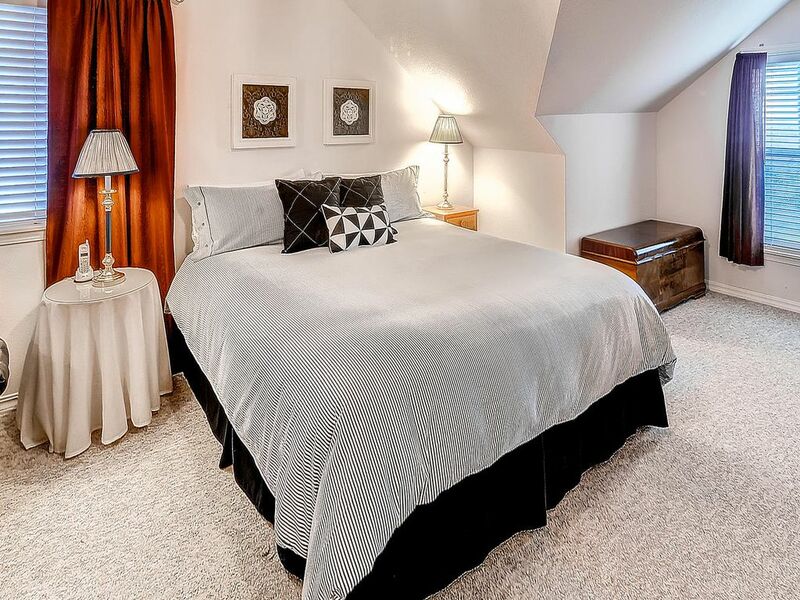 Upstairs you’ll find the fourth bedroom with a queen bed and crib and second master suite with breathtaking ocean views, Cal king bed, twin bed and en suite bathroom. 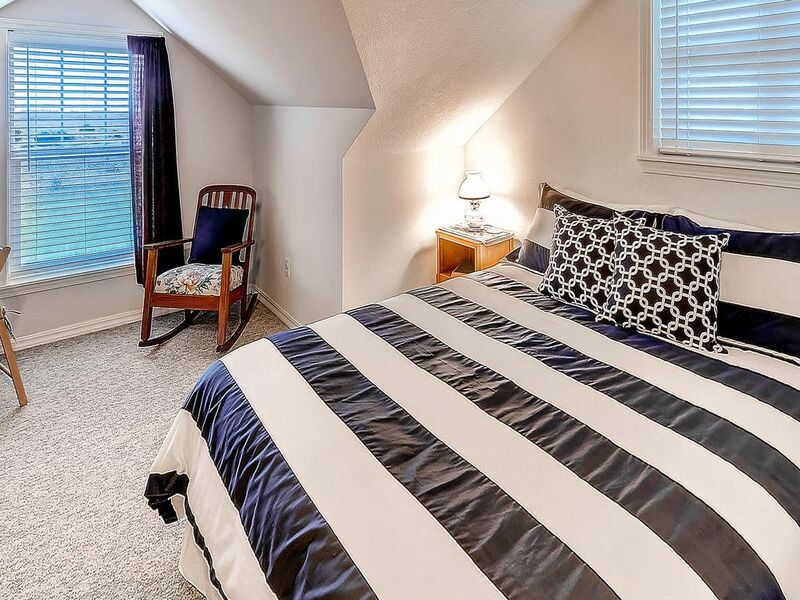 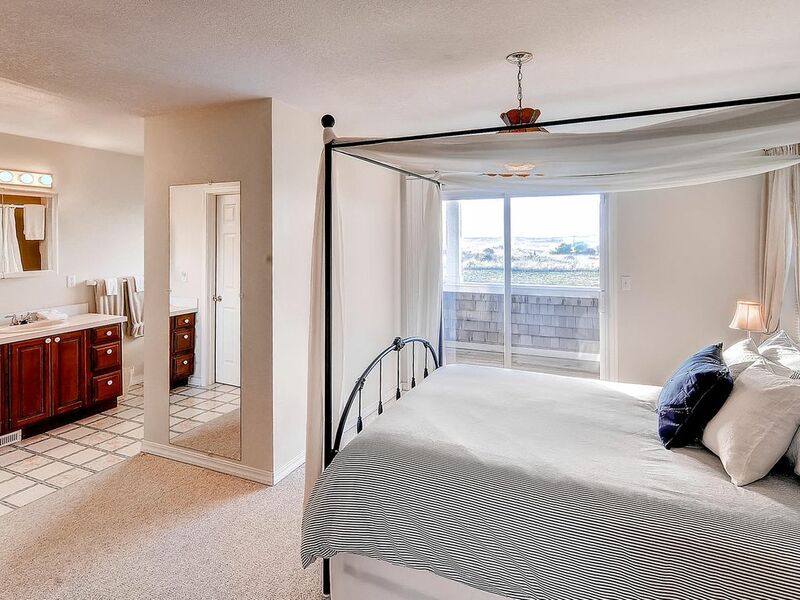 A trundle bed in the upstairs loft area is perfect for additional sleeping accommodations and a pull out curtain provides a bit of extra privacy if needed.